This year, we have been afforded the privilege to sponsor several notable events. It is always a pleasure to take part in events that honor wedding professionals as well as showcase the gifts of some of Atlanta’s hottest professionals. 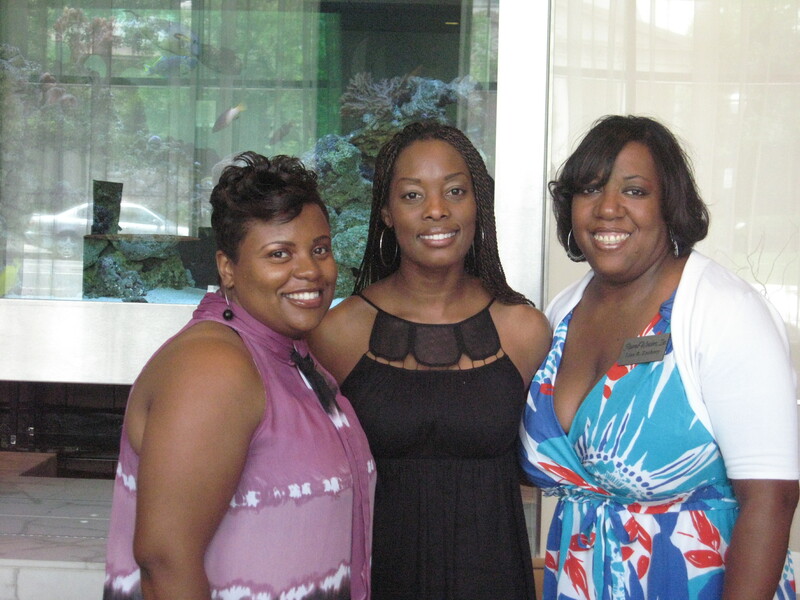 In June, we were a featured sponsor at the June Luncheon of Atlanta Occasionsand Atlanta Bride and Groom Planner. 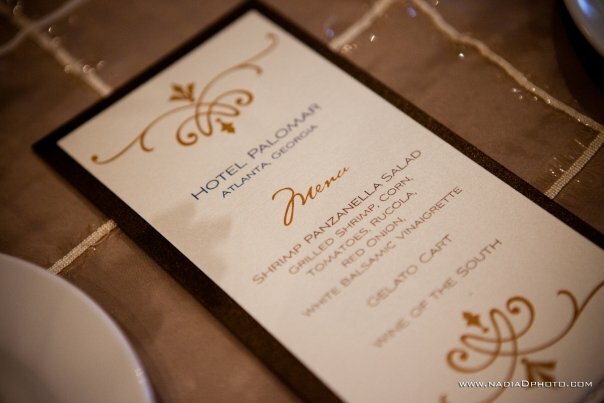 This event was held at one of Atlanta’s newest boutique hotels, Hotel Palomar. This fabulous hotel hosted over 130 wedding industry professionals. 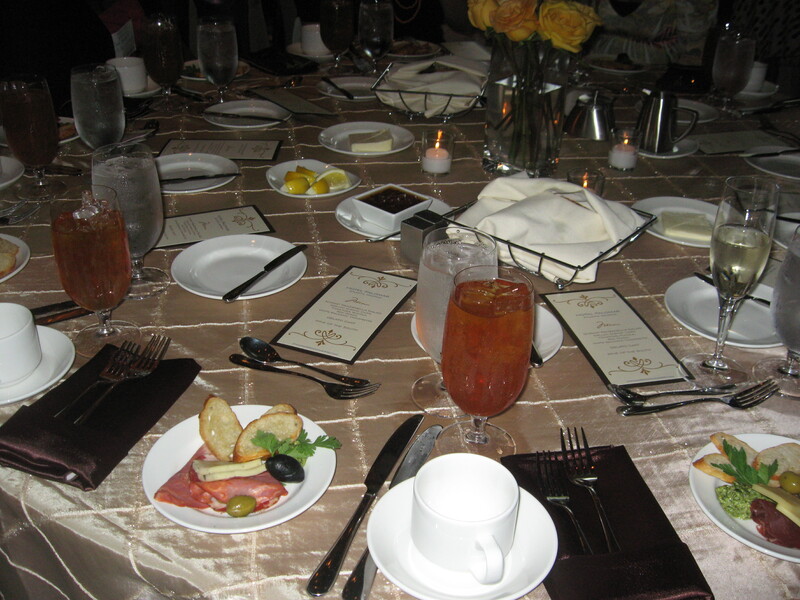 PWI provided the signage as well as the menu cards for this event. We were inspired by the chocolate and natural hues of the room itself as well as the lighting and from there, we created a wonder! It is amazing how big of a difference something as small as a menu card can make. Not only did the menu card add flair to the table, it also tantalized the guests and prepared them for the lunch that was about to arrive. We appreciate Heather and Linda for the opportunity to take part in such a great event. We look forward to the July Luncheon at Loft at Castleberry Hill on the 22nd. PWI is popping up all around Atlanta…keep your eyes open! For more photos from the June Wedding Professionals Luncheon, click here, courtesy of Nadia D.
April, Joy Pittman of LOFT at Castleberry Hill and Lisa. 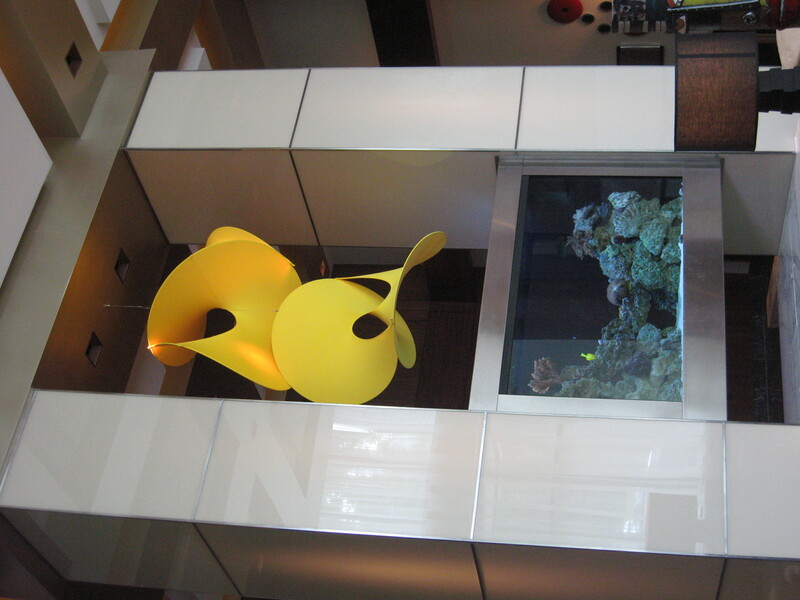 The lobby in Hotel Palomar. ← The 70s are Back!